We all make choices every day of our lives. Those choices are based on our personal prorities. How often have you wondered how your neighbours can afford foreign holidays every year? Or why others can afford a brand new car? The answer is often quite simple – they prioritise those things over others. We all make choices every day of our lives, based on our personal priorities. If you are passionate enough about something you will commit everything to it. If you commit everything to it, and prioritise your choices, then you will succeed. It can be anything; the person you met one and desperately want to get to know better, financial success, a big house, a new car, career sucess – anything at all. If you are passionate enough about it, nothing is beyond your reach. So what are you passionate enough about? You decide. You take action. But remember, if your goals are really just ‘nice to haves’ then in truth, you are unlikely ever to commit enough of yourself to achieve them. You must have a passion to succeed, no matter what. It won’t be easy, but good things seldom are. These are perfectly reasonable, but miss a couple of key points. A really good thing to do is to find someone who has what you want, and is happy for you to copy their ideas. Honestly, such people really do exist! 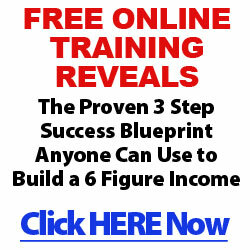 Click the link at the top of this post for an absolutely FREE example. Search for blogs on the subject. Use google to find the information. You’ll be amazed at how much is out there. The challenge for you is to decide which to read. If you try to readit all, you risk confusion, and more significantly, you’ll send so much time reading, you’ll never take any real action. You’ll find so many examples. Compare yourself honestly with the people who have what you want. In most cases, it’s a combination of drive and self belief! These people have gone for it with a passion. There are always people that will be interested in your opinions whether to learn, or to re-inforce their own views. You just need to engage with them. And remember: being passionate about something is not necessarily the same as knowing lots about it! This entry was posted in Dreams, Goals, Motivation, Perseverance.